Before he left the National Front, he had has risen to prominence as an organizer for the party. After spending most of his life as a neo-Nazi, Kevin Wilshaw finally decided he had had enough. 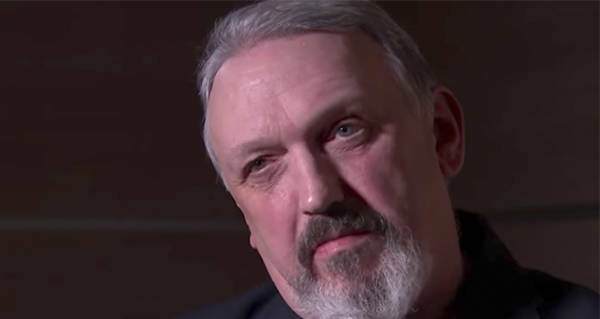 The noted British white supremacist admitted in an interview with Britain’s channel four news that he is gay, and has Jewish heritage. A member of the National Front, the British far-right movement, and a firm believer in white supremacy, Wilshaw started to change his ways after he found out what it was like to be on the receiving end of discrimination. He explained that he recently found out that his fellow neo-Nazi’s suspected him of being gay, and subjected him to the abuse he’d inflicted on others for years. Upon denouncing his former lifestyle, he also revealed that his mother was part Jewish. Wilshaw first became interested in neo-Nazism when he was only 11 years old. His father was “very right wing” and he strived to emulate him. Since then, he has been working towards the goals of the far-right. At 18, he joined the National Front, and in the 1980s rose to prominence as an organizer for the party. Even as recently as this year, Wilshaw spoke at events for the party. He was arrested in March for posting hate-speech online. Now, he says, that’s all over. By coming out with his story, he aims to teach his former comrades a lesson in how to treat people. Next, read about the twins who grew up apart, one as a Jew, the other as a Nazi. Then, read about the doctors that invented Syndrome K, a plan to fool the Nazis and save Jewish lives.